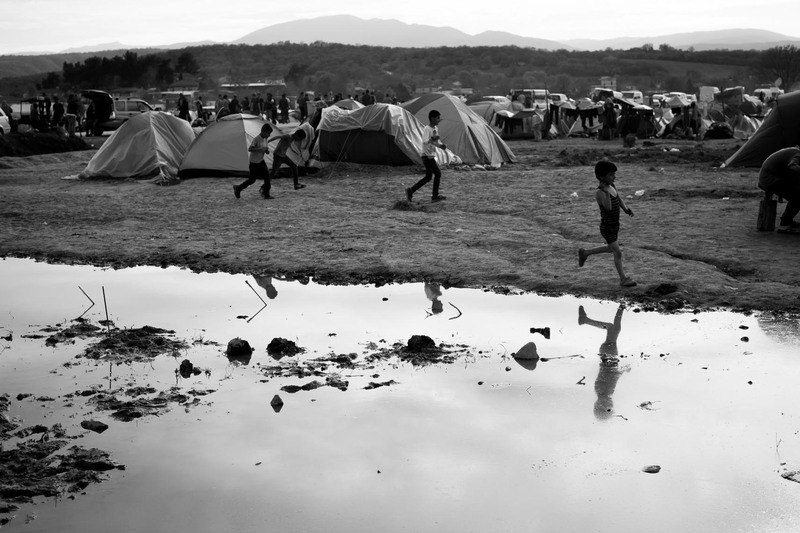 April 2016 - The Idomeni refugee camp in Greece where there are approximately 12,000 people, 4000-5000 of which are children, many under the age of 8. There are areas of stagnant water around the camp which become breeding grounds for bacteria and disease, fires burning constantly that are needed for cooking and warmth and are fueled by wood, paper, plastic and the smoke is suffocating at times even outdoors. There is a lot of coughing and respiratory problems because of it.